Are you moving soon? 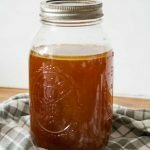 I’m sharing some tips for what to have on hand during the move. These items will help the process go smoothly. My fiancé and I are SO excited to announce that we are buying a house! 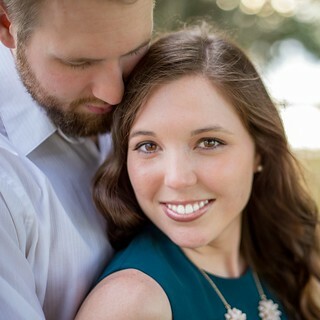 This weekend we are going to move him into the house and start setting up for when I move in after we get married in November. We’ve both moved a lot in the past few years, so we have gleaned some tricks to make the process easier. Fortunately, this will be a pretty easy move since he doesn’t have much to move and I get to move my stuff in gradually over the next 2 1/2 months instead of doing one big moving day. 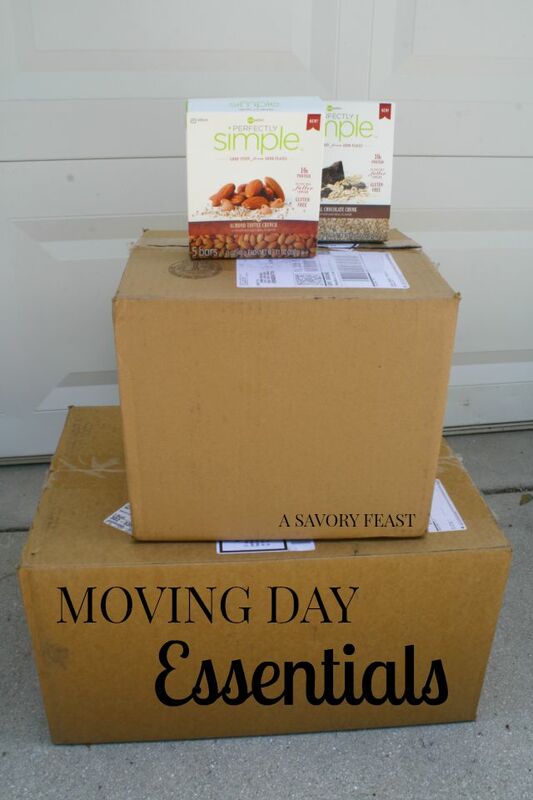 Here are a few items that are essential to a successful moving day for me! You’ll want to be sure to have plenty of snacks on hand to keep your helpers happy. It’s also a great way to take some time to yourself to recharge before getting back to work. 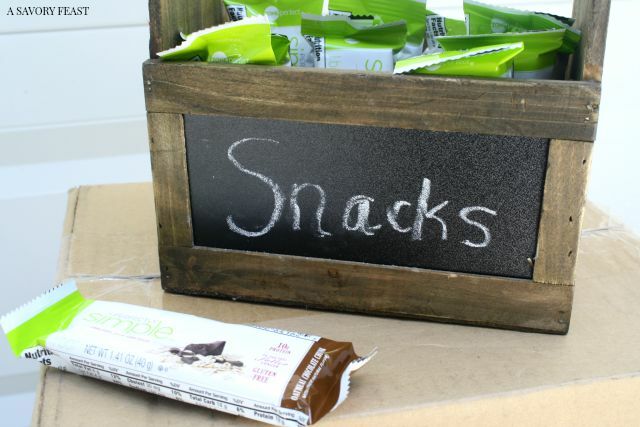 Individually wrapped snacks like these new Perfectly Simple bars are great for moving day! They are easy to eat and fill you up. You definitely want a snack that will make you feel full and refreshed. Put all your snacks together and display them for your helpers to grab whenever they need one. You’ll also want to keep lots of bottled water on hand. You’ll definitely get out of breath and need to cool down. If you can, pack a big cooler with ice and load it up with water bottles, sodas and sports drinks. Take out is a must for moving day. Be sure to pick up some paper plates, plasticware and napkins. Not only will these items come in handy when you want to eat and can’t find where you packed your dishes, it also means you don’t have to wash anything! Loading and unloading boxes is so much more fun with music! Use your portable speaker to play some upbeat tunes. Be sure to charge it up before moving day! Moving can be a sweaty, messy job. Keep a few bottles of hand sanitizer on hand to keep your hands clean. Place a bottle by the snacks so that everyone can clean up before grabbing something to eat. Moving day? 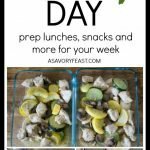 @aSavoryFeast shares the essential items will make the day run smoothly. 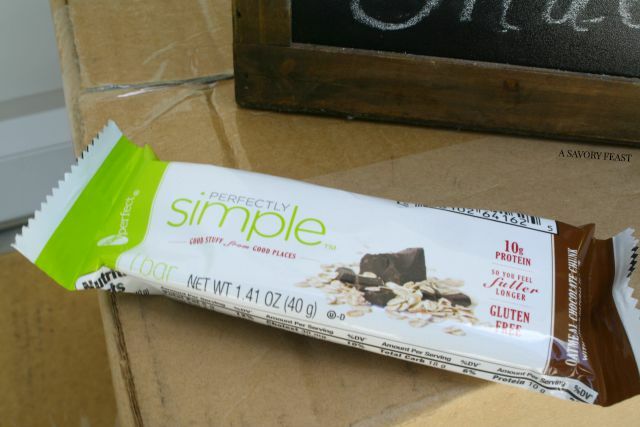 Want to try these Perfectly Simple bars yourself? Grab this coupon to save $1! 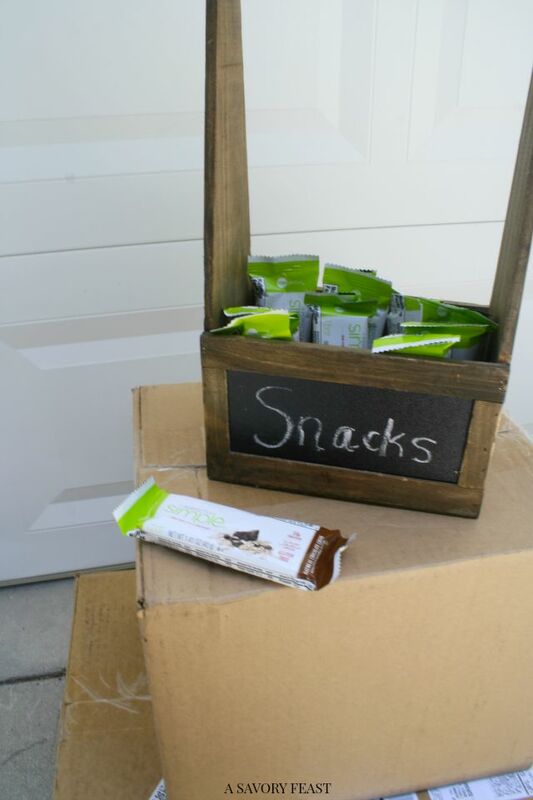 You’ll love having these bars on hand for anytime you need a snack, whether it’s after school, on a long drive or before a workout. What are your best moving day tips and tricks? Ah. I really hope we move soon. How exciting for you. Moving your things over the next couple of months will really be a help. I absolutely hate moving, but I have to say… then next time we move, it’ll be a big one, so I cannot WAIT! I’m kind of weird in that I don’t mind moving! Packing up gives me a chance to clean up and get rid of stuff and makes me more organized! Plus it’s exciting getting a new house! It definitely will be nice to do it gradually, though. Congrats on buying a home! That’s so exciting. And expensive. I was more scared to buy our first home than I was to get married, lol! Thank you, Paige! It can be scary but we are just so excited! Moving is the worst! or I mean, not to exaggerate, but it’s not my favorite thing. But it’s exciting when you are getting to move into a real home home! Congrats! I actually don’t mind the moving process! Crazy, right? Congrats on the move. We’ve moved so much that sometimes I feel like I shouldn’t bother emptying the boxes! 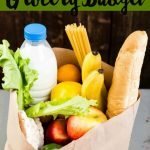 Great tips, especially the one about the bottled water! Thank you! Bottled water always comes in handy on the first day. Moving is bittersweet and I cannot happily move without some sort of food! haha! Love this. They look pretty yummy too. Snacks are a must! This move is all sweet for me, though! Very excited about our first house together. Yes!!!! Trader Joe’s bags are really the best right? They are very sturdy and I love the handles. Those bars sound great! Tons of protein in them! Trader Joe’s bags are awesome! I use them all the time. Just one of the many benefits of shopping there. My best moving day tip is to hire a moving company. Kidding! Kind of. 🙂 Take out is definitely a good plan. I’ve heard of packing a few essentials in a suitcase so if not everything gets unpacked right away you can still get to work and/or be mostly functioning in the morning. Either way, it is WORK, but it’s an exciting adventure as well. We bought new furniture so it will be SO nice to not have to move or set it up ourselves. A bag of essentials is so smart! 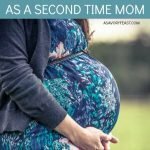 These are such great tips, I’ll definitely keep them in mind next time I move! And congrats on buying a house, that’s so exciting! Thank you, Audrey! We are really excited. Happy moving! I’m sure these tips will come in handy. Coffee is a must for sure! I got a BOGO from the Starbucks at Target when we started our wedding registry so that was so nice last week!